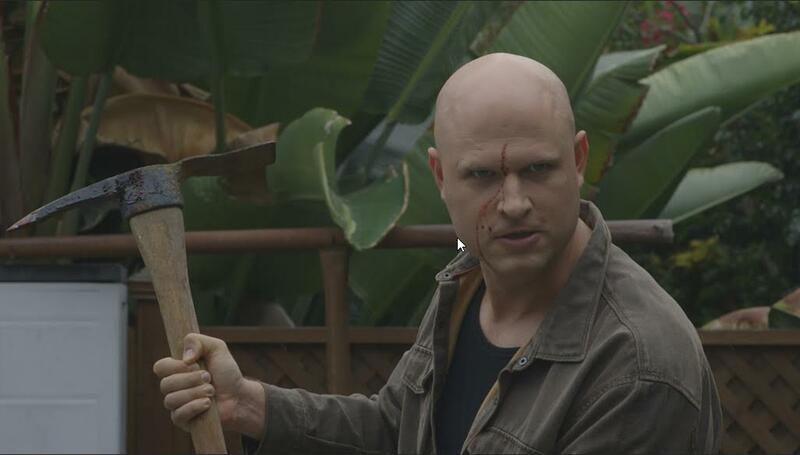 Horror meets comedy in award winning Gregory Blair’s new film GARDEN PARTY MASSACRE, which is currently finishing up post production via Pix/See Productions. 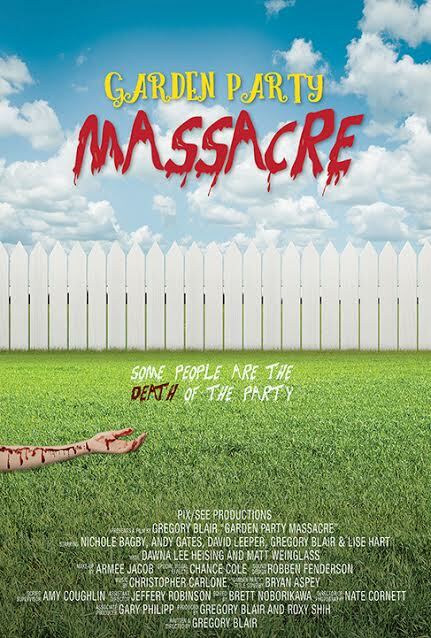 In a 180-degree tone shift from Blair’s previous film (the moody, brooding psych-thriller DEADLY REVISIONS), GARDEN PARTY MASSACRE is a fast-paced romp where both ketchup and blood flow freely. Based on his FANtastic Horror Film Festival winning script, writer/director Gregory Blair helms the film which tells the tale of a friendly backyard gathering that goes awry when an unexpected guest shows up. With a pickaxe. And an attitude! Things go south from there as the guests try to survive. Blair also steps in front of the camera along with Nichole Bagby (On the Rocks), Andy Gates (Grimm), Lise Hart (Deadly Revisions), Dawna Lee Heising (Samurai Cop 2: Deadly Vengeance), and more. The film is due out later this year but for now you can get a taste of the film via the teaser trailer below.